Our flight crew and ground staff surpass industry requirements for operations, safety, and training. LAS meets all applicable Canadian and US standards. In addition to this, LAS voluntarily subjects itself to independent audits to the even higher IS-BAO and Wyvern Wingman Operator safety standards -- the only Canadian charter operator to do so. 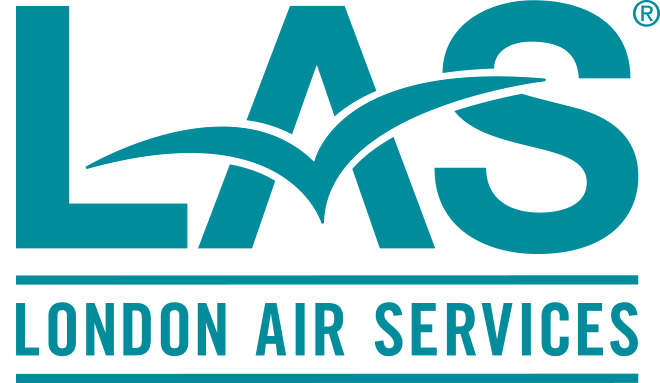 Each aircraft in the London Air Services fleet has been handpicked for exceptional avionics engineering and state-of-the-art safety features. Our jets are manufactured by Bombardier, known around the world for the exceptional design and manufacture of innovative aeronautics. Bombardier is an industry leader in avionics safety. The Bombardier Learjet 75 is outfitted with an innovative avionics system that is second-to-none. It builds on the stellar Lear safety record, meeting FAA standards. Bombardier Challenger jets have been flying for more than 25 years, logging over three million flight hours. The Challenger engine is airliner-proven, with millions of hours of operation. Agusta AW139 helicopters are constructed to the highest safety standards. They feature a CAT-A twin engine system that provides uninterrupted power from the second engine in the event of a malfunction in the first. Our new Agusta AW139 with known-ice technology is the first of its kind in the world. Capable of flying in virtually any weather condition, including snow, ice and sleet. Well-maintained aircraft are the key to safe, efficient air travel. Our full-time factory-trained maintenance engineers have over 70 years of combined experience. Every two years, they receive additional training at the manufacturers’ facilities to keep their skills current. Each aircraft is maintained to the highest standards, as approved by Transport Canada. All aircraft are inspected regularly and housed in a heated aircraft hangar. In addition to regular inspections, our Learjet 75s are given a thorough inspection every 300 hours, and the Challengers every 400 hours. All heavy maintenance to our fixed wing aircraft is carried out by a Bombardier-owned Service Centre. Our aircraft are maintained and housed in the state-of-the-art hangar of London Aviation Centre. This facility was constructed to the highest standards, with features that optimize aircraft maintenance. Fire-resistant fabric partition door creates two multi-functional spaces inside the hangar. This allows for specific environmental control: one aircraft can be acclimatized prior to departure while another is undergoing routine maintenance. Advanced, three-point safety system continuously tracks and samples air for smoke, monitors for two distinct flame signatures, and in the event of fire, lays down a foam blanket that will extinguish any electrical, fuel, or mechanical fire. Our hangar has the highest approach to aircraft safety. Sophisticated camera and aircraft protection systems are in effect and monitored continuously to ensure tamper-free aircraft. Security is a priority for all of our flights, and London Air Services surpasses industry standards. Through a network of privileged sources, our security process reviews all flight aspects and designations to safeguard our customers. Approaching nearly two decades of service for executives and VIPs, our confidentiality policy is unparalleled. 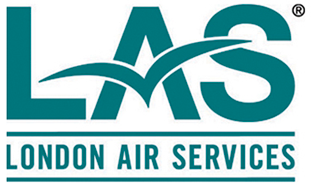 Each employee of London Air Services, from the booking agent to the pilot, has signed ironclad non-disclosure documents and undergone a background check. No information is shared outside of the work zone. No information about the destination of our flights is ever made public or discussed beyond the work zone. Our confidentiality policy extends to client names, flight details, privileged information discussed in flight, and any contact information provided including email addresses.